THIRD LEVEL STUDENTS throughout Ireland will have access to free online GP consultations for the rest of the academic year. 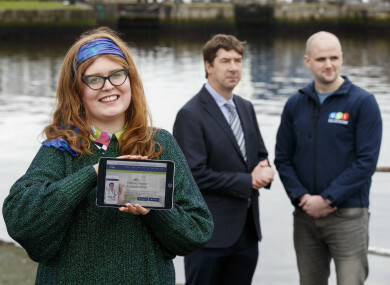 All 374,000 student members of the Union of Students in Ireland (USI) will be able to access VideoDoc – an online GP service - from now until June. The service, staffed by doctors who are registered with the Irish Medical Council, will be available from 8am to 10pm daily. Where appropriate, students can be prescribed medication via the service. Prescriptions will be sent to a chosen pharmacy or directly to the student, for no extra charge. If a student needs medicine immediately the doctor will fax the prescription to the pharmacy. Doctors will be unable to prescribe controlled drugs such as morphine. The service was announced by the USI as part of its Healthy Living Week initiative which aims to promote health and wellbeing in the union’s 37 campuses across the island of Ireland. Speaking at the launch yesterday Michael Kerrigan, USI President, said free online GP care will help students who are struggling financially. “With the high cost of living and accommodation being the main factor in student poverty, our students can now rest assured that if they get sick they can save money on a GP visit,” Kerrigan said. VideoDoc is an Irish company that offers an online GP service in Ireland and the UK. Its CEO and co-founder Mary O’Brien said, in the company’s experience, about 70% of all GP visits can be treated online. “Students who need to see a doctor but are far from their family GP or too busy to attend a surgery between regular nine to five working hours can now log on from anywhere and be treated within minutes,” she said. Email “374,000 students get access to free online GP consultations ”. Feedback on “374,000 students get access to free online GP consultations ”.